Reach out to your key clients with this promotional portfolio! 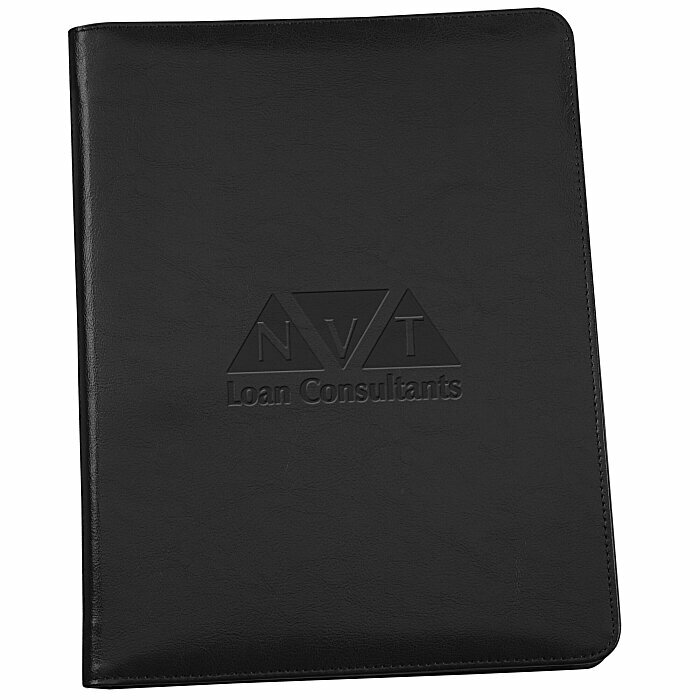 There’s nothing like a real vintage leather portfolio to demonstrate your business panache. Inside the front cover you’ll find two business card pockets, a document pocket and two stacked pen loops. Opposite the multifunction organizer is an 8-1/2" x 11" lined notepad for detailed notes and reflections. Clean, consistent stitching around the perimeter finishes the look of the executive padfolio. Size: 12-1/2" x 9-3/4" x 1/2".